19” Data racks ranging from 6RU small mountable racks right up to 42RU floor standing 19” Data racks. All accessories and parts available. UPS – Line interactive Desk Top UPS 600VA right through to 800VA Online Industrial UPS. All accessories and parts available. Power Supplies– Easy to handle 12 Volt AC/DC right up to 24 Volts. All accessories and parts available. IP (or “Ingress Protection”) ratings are defined in international standard EN 60529 (British BS EN 60529:1992, European IEC 60509:1989). They are used to define levels of sealing effectiveness of electrical enclosures against intrusion from foreign bodies (tools, dirt etc.) and moisture. First Digit = Indicates Dust resistance, or intrusion protection i.e. the size of partial that can enter the enclosure – “1” – Being the lowest , having little or no protection and “7” being the highest, totally dust proof. Second Digit = water or moisture protection i.e. “1” Being the lowest , having little or no protection and “9” being the highest, protected against prolonged effects of immersion under pressure. An instant UPS App from PSS Distributors to calculate the correct size UPS you need according to your requirements, and even the pricing. Did we mention it’s free? To install, scan the QR code in the attached ad, follow the steps to calculate your requirements and then take the right steps towards securing your equipment by purchasing your PSS Distributors UPS and plugging it in. What’s the best type of PSS Distributors UPS – Line Interactive or Online? Basically, a Line Interactive UPS changes from mains power to battery when required by your equipment. 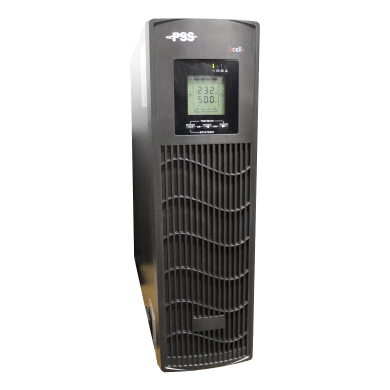 Our PSS Distributors Online UPS offer a stable power supply for your equipment by running permanently from the battery supply (which is charged from the mains). 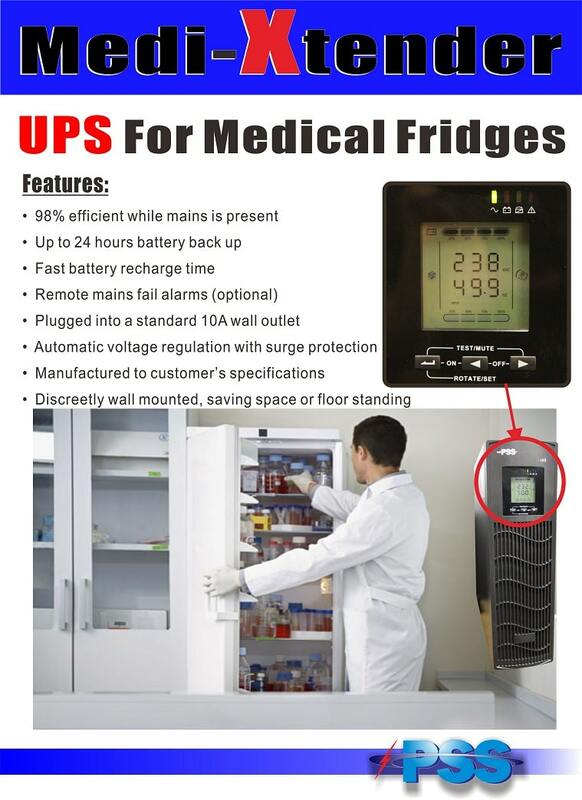 The change over time is determined in milliseconds with Line Interactive UPS, however sensitive equipment like Medical, Server based IT equipment and certain Pumps will require an online UPS. The environment conditions at site also play a part in determining the type of UPS system required – but ultimately, it’s the equipment that’s being backed up that will dictate the type of UPS System required. Do I need a Rack or an Upright Tower type solution for my PSS Distributors UPS? The answer for this depends on the physical dimensions of the UPS and if the customer has available space in existing racks or the requirement for more rack mounted equipment and a new rack. If there is no requirement for rack mount then the alternative is a tower or freestanding UPS. Most PSS Distributors UPS systems are available as either rack or tower. 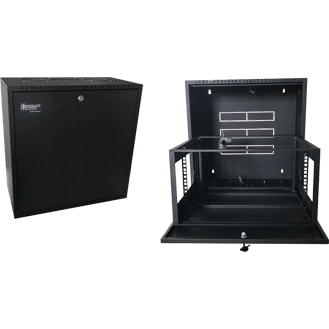 PSS Distributors has a range of rack and tower UPS from small home / SOHO UPS to larger units designed to run whole office setups for larger customers right up to UPS designed for buildings; we can also supply our “Redback” brand of Server Racks if there is a need. Requirement for a Communication Card? All UPS carry software to allow users to check on the UPS setting and also allow the UPS to send a notification to outside your LAN Network (of a power outage) when your designated IT specialist isn’t on site and requires to know of the notification. A communications card gives your UPS a “standalone” IP address for our service technicians to be able to diagnose and interrogate the UPS remotely and also the ability to send warnings to the desired party’s in your organisation. Sizing of PSS Distributors UPS Systems? PSS Distributors offer a calculator, to enable the correct sizing (of UPS required) on our website! We have taken great pains to “make easy customer sizing” of UPS without the need for time consuming site visits or load testing. Just input your designated load from our dropdown list of options and enter the correct parameters for a UPS solution. Run times required of PSS Distributors UPS System? For this answer you need to think about the “up” time required for your equipment. Do you need it to run for say, 10 mins or 10 hours? Another way of thinking about this is, are there prolonged power outages in your area or do you just require that computer equipment is safely exited? Again load is important in the equation that decides how many batteries you require. To help with this, PSS Distributors have also included a feature on our UPS calculator to allow you to input the run time you require, when you have decided. Service contracts – where do I stand? PSS Distributors can offer a suite of service contracts on UPS when required. We will be happy to walk you through our options and help you in any way we can. We can offer 24/7 callout for larger UPS Systems and can offer preventative maintenance contracts when required. Patriot Mon 02- With 10 output that are monitored by a changeover relay, if any of the output fuses blow, the relay is activated. Operating voltages between 12- 24V AC or DC by just changing jumpers, makes it extremely versatile. Patriot Trig 03 – The same PCB is used on voltages between 12-24V AC or DC makes this triggered relay PCB unique and cost effective. Patriot Rel 04 – Changing an output voltage to a dry contact, this PCB hits the mark in price and versatility. 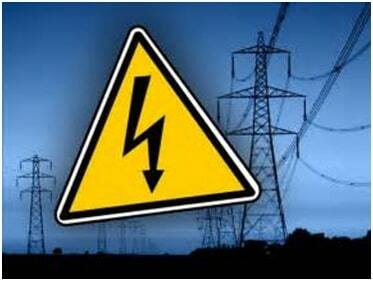 Patriot has filled the gap in the market left by other suppliers and extended on the Patriot Power Supply range. Today I’ll be talking about our new “UPS calculator” on our website. At last, a solution designed to make sizing UPS easy!! A simple solution that offers you the right choice specific to your office or project needs. Once you have selected your equipment, select the runtime requirement in minutes and/or hours. Once selected, simply press the submit button to see your results. From the results screen you can enquire, see more about the product, or come back to the calculator to adjust your input data. It’s designed to be simple to use and efficient, both for our channel partners and their customers – in fact anyone who needs to use it! Being able to “size” PSS UPS efficiently and correctly is a great asset when quoting in the field, no more endless hours searching internet for comparisons – it’s all at the click of a mouse with PSS!